Live a well-heeled life in Golden Ira – an exclusive gated residential community by Golden Gate Properties at Yelahanka, Doddaballapur Road, Bangalore. 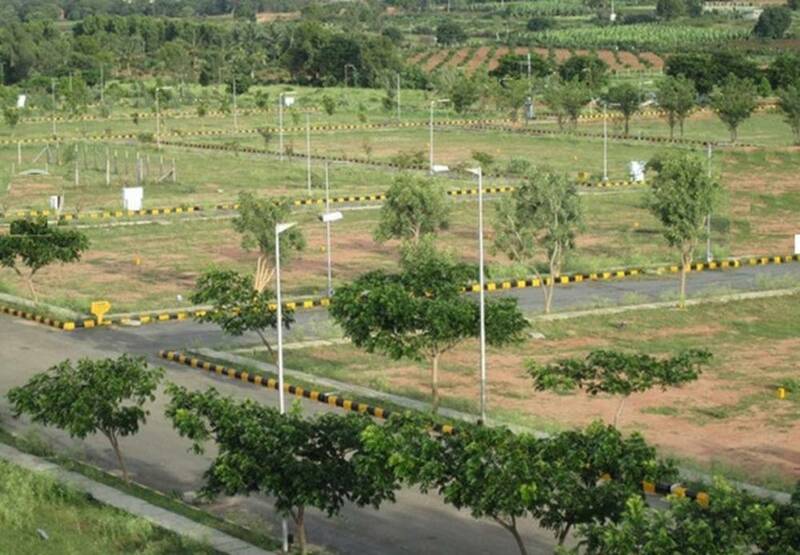 This stately establishment offers villa plots of size ranges 1500 – 2693 sq ft, arrayed over a colossal premise with perfectly balanced open spaces, to set an avenue for panoramic livelihood. The project includes all required physical infrastructure which includes wide roads, STP, sump &amp; bore-wells, sanitary, 24 Hour power backup, waste management system, rain water harvesting, electrical and communication network. The premise provides an opulent ambience and comprehends well planned amenities to enrich the lifestyle of its in-dwellers. The amenities offered includes various recreational, sports and entertainment facilities like Clubhouse, Gym, indoor-outdoor sports forums, children’s play area, party area, library, intercom, swimming pool with kid’s pool, jogging/walking paths, garden spaces and 24/7 security monitoring. 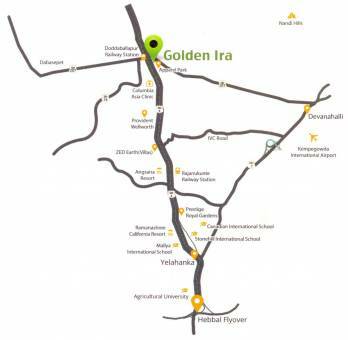 Golden Ira is located in prime environs of Yelahanka, on Doddaballapur Road – Bangalore. The area of Yelahanka has seen rapid growth in-terms of commercial and residential elevations and is powered with excellent physical and civic infrastructure. This zone is equipped with wide roads and broad flyovers which eases-out traffic and gives pleasant commute experience. The presence of reputed educational institutions, hospitals, IT hubs, shopping malls, multiplexes, supermarkets, banks and other social conveniences paves way for leading a comfortable living to its in dwellers.